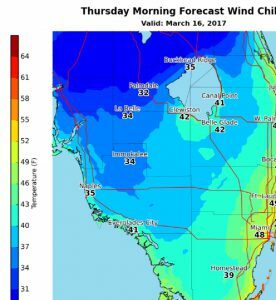 According to the South Florida Weather Station Agency, this is possibly the coldest air of the season is expected tonight across much of South Florida, especially in interior areas and portions of the Gulf Coast. 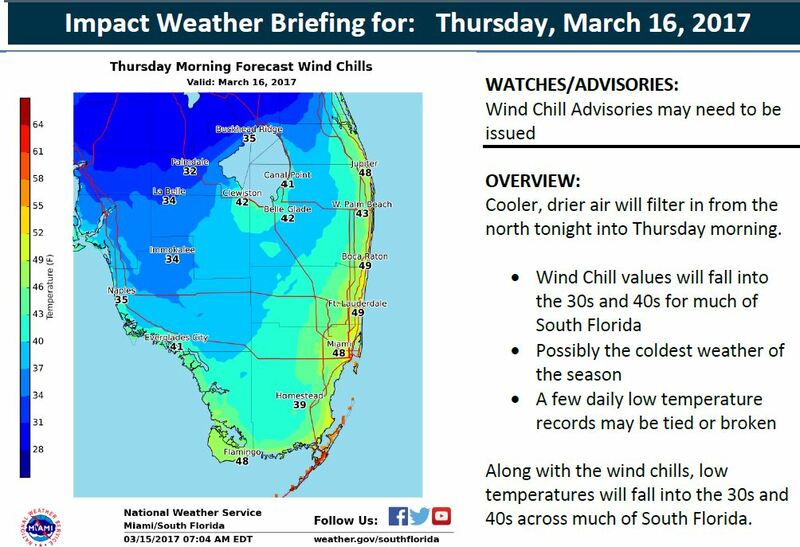 Forecast wind chills tonight into early Thursday morning are forecast to fall into the 30s and 40s across much of the region. Cooler, drier air will filter in from the north tonight into Thursday morning. 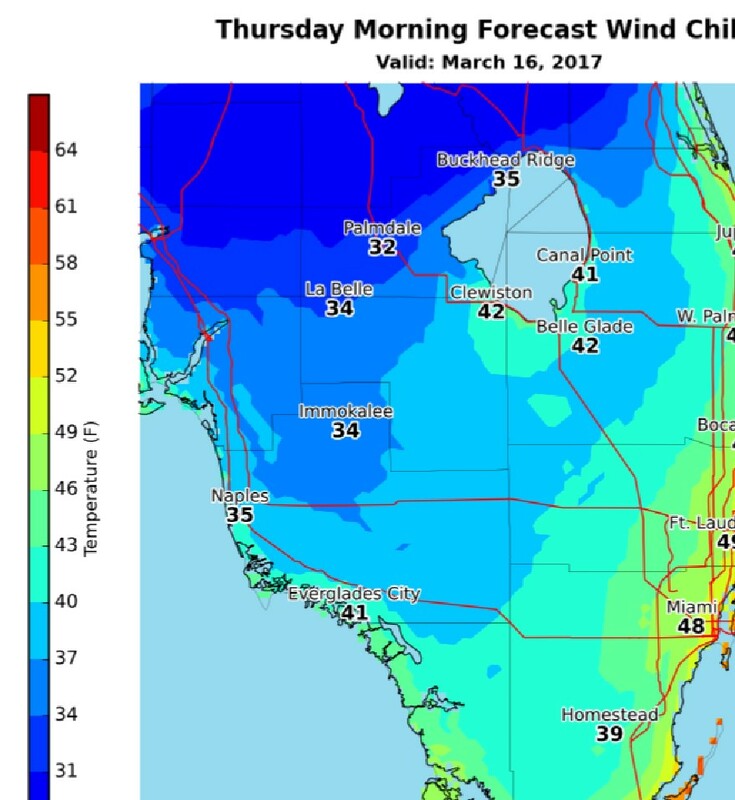 Along with the wind chills, low temperatures will fall into the 30s and 40s across much of South Florida.